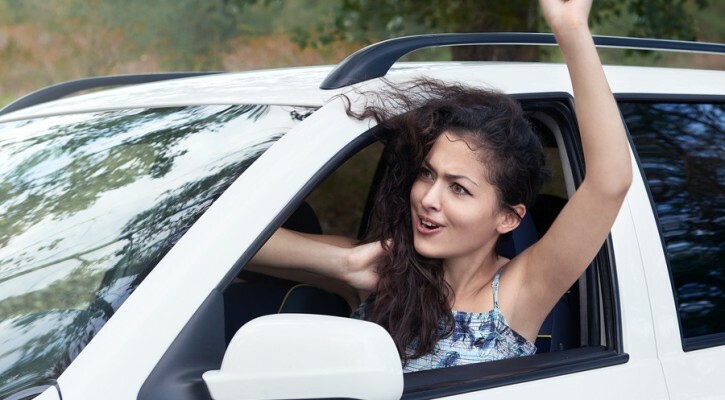 Home » Driving Skills » Where Is Road Rage The Worst? A new survey has come out listing those states and cities with the worst instances of road rage. This study, using some different methodology has some surprising results compared to studies in the past. Past studies we have written about were sponsored by AutoVantage, an online insurance company. To conduct those studies, AutoVantage conducted phone interviews with 2500 drivers in 25 major metropolitan areas. The latest study, conducted by AutoInsuranceCenter, another online insurance company, looked at 65,535 Instagram posts that were hashtagged #RoadRage. The results of this study showed where and when the greatest number of road rage incidents were happening. During the month of August. During the hours of 5:00pm and 7:00pm. Surprisingly, the state with the greatest number of Instagram road rage posts was Hawaii. A vacation paradise isn’t normally what most people would connect with road rage. However, as anyone who lives in a tourists center, like Orlando for example, knows large numbers of tourists trying to navigate around a strange city can be extremely frustrating. Tourists also tend to bring their bad and discourteous driving behaviors with them when they go on vacation and that can also be very frustrating. The last AutoVantage study listed Houston, followed by Atlanta as the cities where road rage was most likely to be encountered. The new study by AutoInsuranceCenter lists Los Angeles, followed by New York City as the worst cities. Houston and Atlanta fell to eighth and tenth place respectively. A study that depends on Instagram messages may not be highly accurate because it depends on people posting an Instagram while they’re still angry enough to do something about it. If they were to wait until they got home, they may have calmed down enough to let it go. However, drivers who tend to post on Instagram while driving are probably adding to the problem by not watching the road ahead. Pay attention to the road ahead. Don’t use your phone or try to send or read any kind of messages while driving. Don’t speed but don’t drive too slowly either. If you aren’t sure where you are or where you’re going, get off the road long enough to get your bearings so that you don’t hold up traffic. Don’t respond to an angry driver. Don’t try to retaliate against another driver, no matter what they may have done. Don’t stop to confront an angry driver. When dealing with an angry driver, never roll down your windows or get out of your car.